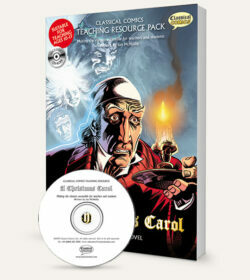 View Cart “A Christmas Carol – Teaching Resource Pack” has been added to your cart. Exclusive US library/school hardback edition. 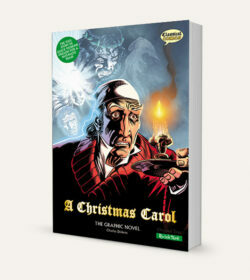 This is Charles Dickens's classic story as a full-color graphic novel. Library-bound to withstand the rigors of school and library use. The classic holiday tale is brought to life with 134 pages of color story artwork, an illustrated character list (Dramatis Personae), and fascinating support material that details the life and work of Charles Dickens as well as information on Victorian England. 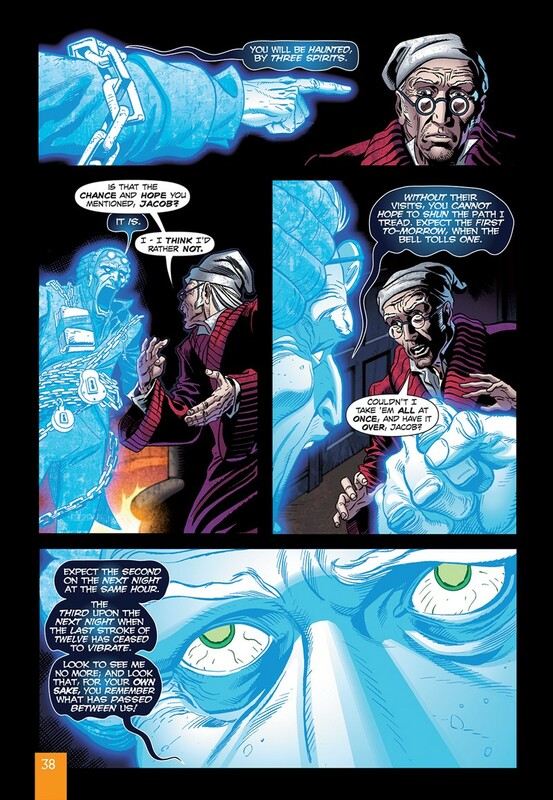 One Christmas Eve, after being particularly cruel to his employee, the miserly Ebenezer Scrooge is visited by the ghost of his dead business partner, Jacob Marley, who tells him that he will be visited by the ghosts of Christmas Past, Present, Future. 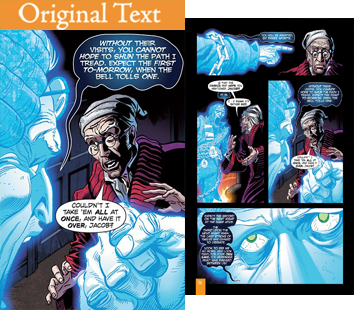 Each ghost shows him things that rekindle the joy and spirit of Christmas within his heart and awaken his goodwill toward his fellow man. To support the use of this title in the classroom, photocopiable teachers resources are available that offer lesson plans and activities from 6th grade and up: ISBN 978-1-906332-57-0. 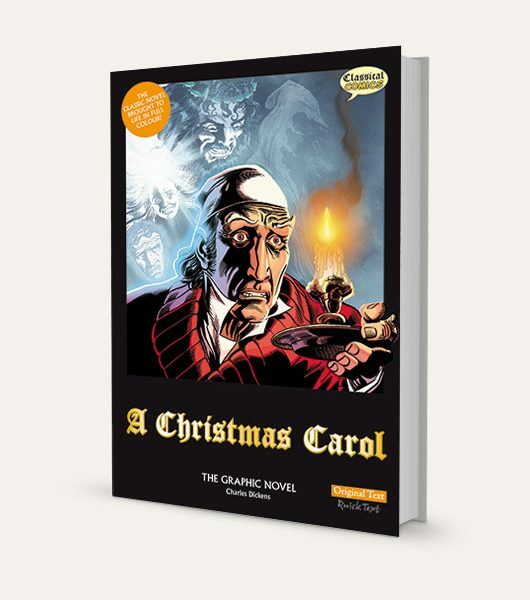 An alternative text edition with simplified US dialogue is available in paperback enabling differentiation in the classroom. to download your free 8 page sample!